A VPN is an essential tool for any internet user, a surefire way of protecting your data and your identity online, allowing you to browse the net safely and securely. There are plenty of options, many free VPNs to choose from and plenty of paid options too. In this article, we are going to look at some of the best VPN options for iOS users, particularly for those who use third-party app installers like TweakBox. In this guide, we are going to be looking at some of the best commercial VPN providers for iOS users who use the popular Tweak Box app installer. The 3rd party app has grown in popularity in recent times on both platforms because of the range of content it offers; providing users with a full range of tweaks and modified iOS apps and games. Rather than the free providers, we are focussing on those that charge a small amount each month for their services; these providers work far better than free options because they have your best interests in mind. We use several factors to determine the best, including price, customer support, security, bandwidth, server location and more. Affiliate Disclosure : This site earns commissions from the products & services featured on this page. iOS users who install and use Tweak Box installer should use a VPN for several reasons. First, your connection is secured and kept private. Neither your ISP nor local authority can detect how your accessing software and external apps on your device, which means they cannot stop you from doing it. One option that has been touted is NessTool VPN but there are plenty of other options to choose from that offer far better protection for your privacy than NessTool does. There are plenty to choose from, lots of great deals and each offers a different level of service. We’ve chosen three of the very best VPNs , two paid and one free service, all of which are ideal for Tweak Box users so, without further ado, let’s dive straight into them. They offer a full 30-day money back policy and an option for a dedicated IP. One of the more important factors with PureVPN is that they offer solutions for Chromebook and Kodi directly from their webpage and are the first to implement the new GDPR rules fully. Before we leave this section, we just want to point out that, while it might seem like a good idea to use a Free VPN, they tend to be full of annoying ads, are much slower and are restricted in bandwidth whereas the paid services offer you a much faster and cleaner service. There is also no guarantee that a free service is not logging your connections and selling your data on. There really isn’t any substitute for paying for a VPN because you are guaranteed a much better level of protection. Do I Need a VPN ? VPNs are a sure-fire way of ensuring that you can browse the internet in safety, securely and hidden from view so your data is safe and your browsing habits are known only to you. 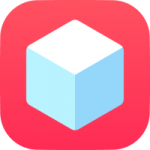 We have only looked at a couple here but they are some of the best for both iOS and Android users who want to use external installers like TweakBox without their providers knowing what they are doing.